Object(ive) Comparisons is a meditation on the colors present in related objects. The process involves systematic scanning and translating, followed by visualization of that formal analysis. Smooth gradients fill the negative space between objects. Fluctuating connections traverse evenly, revealing colors in common, and the distance between colors that aren’t shared. The experience distills a relationship to pure color, expelling all other elements of an object’s identity. 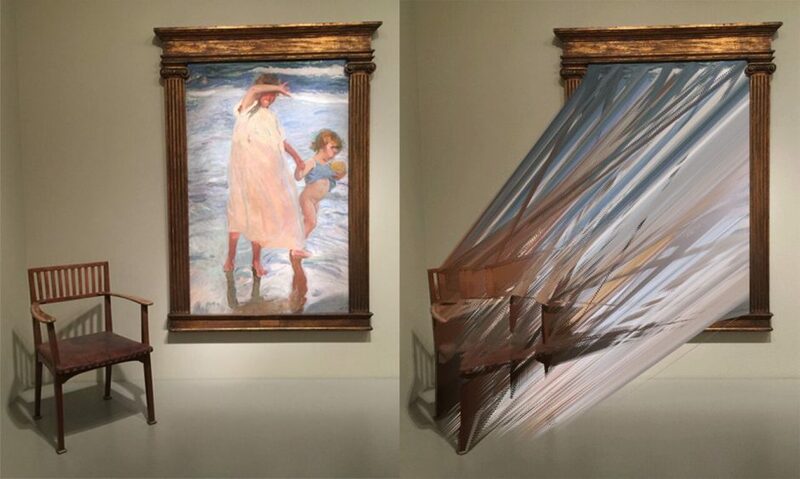 Augmented reality is a hand-held window into this alternative way of seeing. While the dominant realm of smart devices is virtual and distant, they are also capable of expanding the way we experience what’s right in front of us. Using a scanning method akin to basic QR code technology, devices can recognize and reveal site-specific artwork hiding in selected objects.